Heat ghee in a pan, roast moong dal. Now cook moong dal with water and salt. Mash the cooked dal a little. Set this aside. Grind grated coconut, cumin seeds and turmeric powder to get a smooth paste. Now add the smooth paste to the cooked dal. When it reaches a medium thick consistency, pour coconut oil and curry leaves. Mix well. Don't make the curry too thick as dal thickens as it sits for sometime. Want that bowl, very delicious and comforting dal. My friends tell me in Gulf onam is like one month program so I guess u are still in the hang :)) We too make this parippu curry. If u are in facebook we run a space dedicated to only 'sadhya recipes'.If u like u can post it there too. one plate of rice n a bowl of this curry.. Bliss! Perfect comfort food ! looks very yummy ! This looks super tempting. This is Linsy. 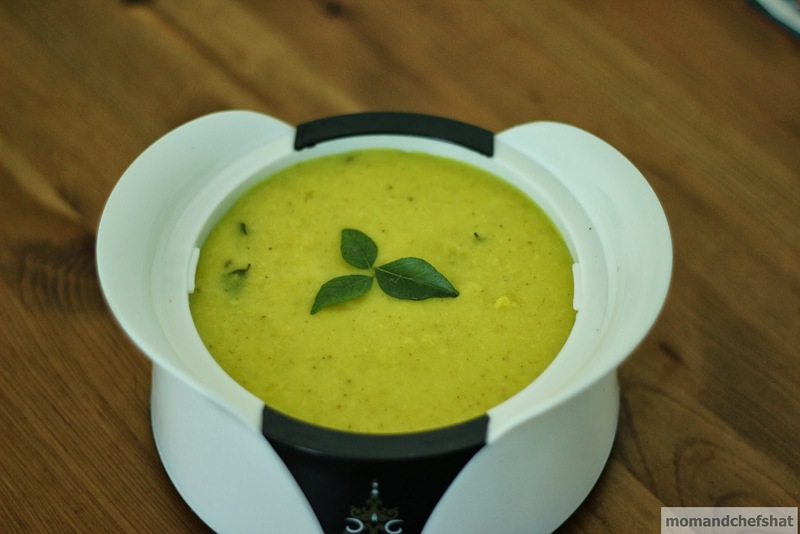 Love this healthy and light moong dal curry. Visit my new blog when you get time. Following your blog I will be happy if you will follow my blog.. Wonderful. I always like to have this along with rice on anam sadhya. Sometime people bring this dish after sambar (lol). 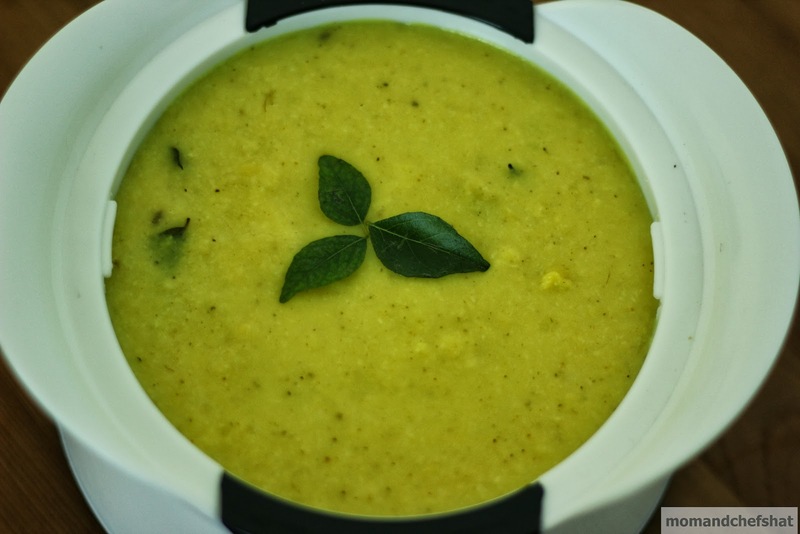 Parippu (dhal), with ghee is supposed to be the first item in onam sadhya.